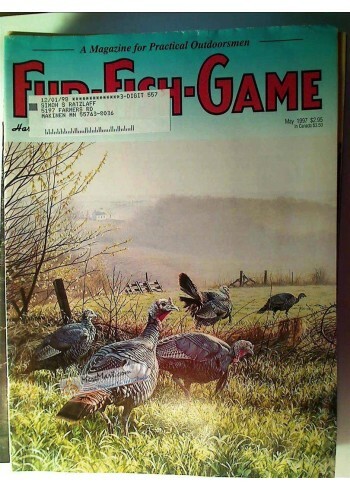 Fur Fish Game Magazine, May 1997: Late Season Turkey Tactics; Flood Stage Catfishing; MFreeen; Hog Hunt; Zigzag Bird Shooting; Bass, etc.-------------- My picture shows the actual item on sale. Nearly "NEW", may have a few insignificant imperfections. A great present, collectible item or for framing. The magazine is complete, and absolutely does not have any significant damage, tears, odors or significant stains. 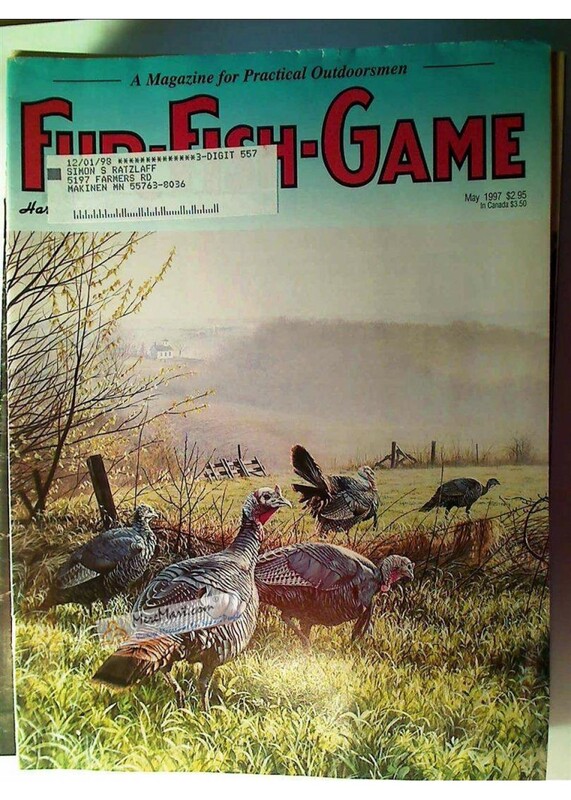 Please google "MEREMFree.C0M", and buy vintage magazines directly from us to save 10% or more. Trusted seller, please check ratings. Comes in a protective plastic sleeve. ULTRA-FAST SHIPPING, USUALLY WITH A TRACKING NUMBER. Smoke free. Your satisfaction is 100% guaranteed. ?